New images of skins for Overwatch's Chinese new Year event has leaked online. 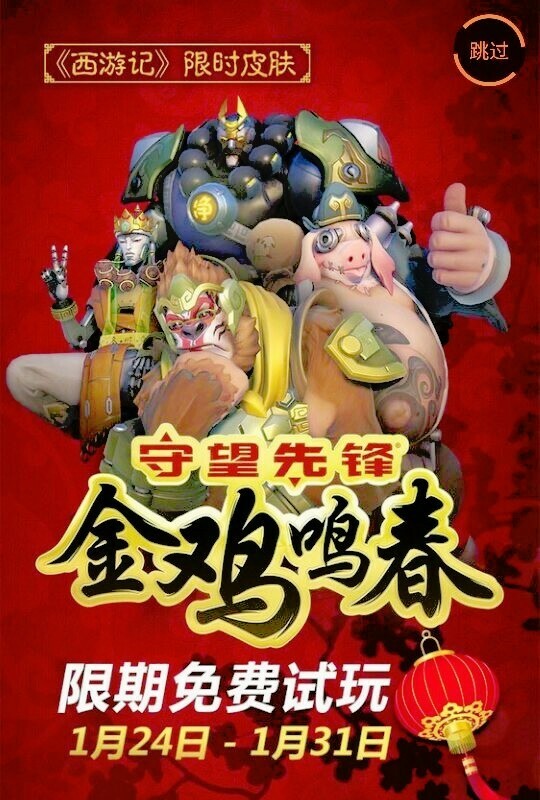 Blizzard has yet to confirm what will be included in their Chinese New Year event, but a new leaked image from Reddit suggests a number of characters may be getting a new, limited edition skin. The supposed leak comes via Reddit user hythlOday, and it shows off what seems to be new skins for Winston, Reinhardt, Zenyatta, and Roadhog. These costumes seem to represent characters from the famous Chinese novel Journey to the West. With Wonston being the monkey king sun Wukong, Roadhog is his pig monster apprentice, Reinhardt the river monster apprentice, and Zenyatta is Sun Wukong’s Buddhism master. It is currently unclear what tier these skins will be part of. The only other detail in the image was that the event will run from January 24 - January 31, says hythlOday.